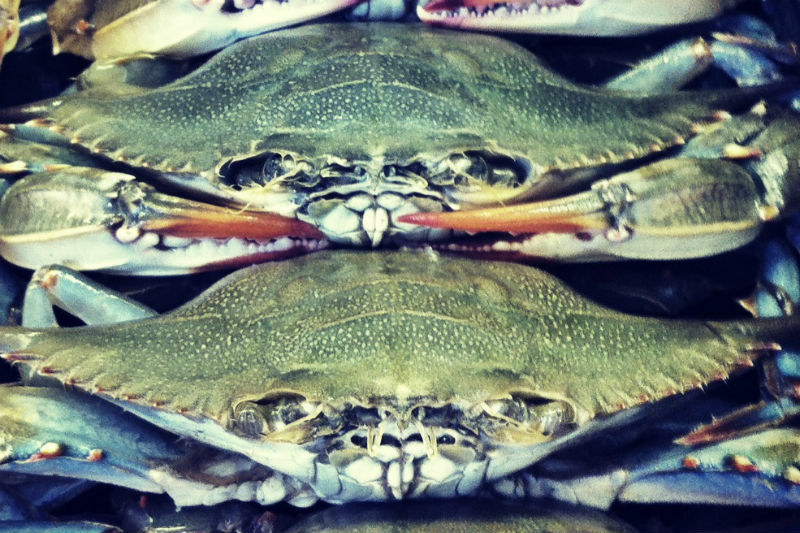 Recipes for cooking and serving Chesapeake Blue Crabs fill hundreds of cookbooks. This unusual recipe for Crab Soup is over 100 years old and was retrieved from the Folklore Collection at the Nabb Rearch Center at Salisbury University. The recipe was submitted as part of a University assignment for student Kevin Sheldon in 1977 when he was 19 years old. He collected this recipe from Mrs. Mary Betts of Crisfield who at the time was 73 years old. Mrs. Betts stated that the recipe had been in her family for many years and her grandmother made the same soup. Put the first 7 ingredients in a large pan. Simmer for 3 hours or until meat is tender. Pan should be covered while cooking. Add the vegetables and crab meat and simmer until vegetables are tender. Soups are a welcome meal in these cold winter days, but crabs are out of season. The good news is that in the subsequent thirty-seven years since this recipe was taken down by Kevin, pasteurizing methods for preserving flavor in crabmeat have come a long way. Current methods for pasteurizing Chesapeake Blue crabmeat retains much of the flavor as when it was fresh. So give this a try. If you’re looking for a good crabmeat dealer who ships to the retail markets try J.M. Clayton Seafood in Cambridge. They have pasteurized meat (sold in a can). Also sells the claws separately.